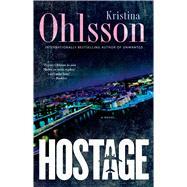 Investigative analyst Fredrika Bergman tackles a new case—this time involving the US government—in the next pulse-pounding book in Kristina Ohlsson’s internationally acclaimed crime series. Shortly after a crowded New York-bound Boeing 747 takes off from Stockholm, a bomb threat is found in one of the aircraft’s lavatories. The demands are directed at both the Swedish and US governments. Police superintendent Alex Recht teams up with the energetic and often abrasive Eden Lundell from the security service’s counterterrorism unit to deal with the hijacking. Fredrika Bergman, who is currently working at the Justice Department, returns to the police force to act as a liaison between the government and the police. The investigation team soon realizes that the plot behind the hijacking is far more complex than they initially thought, and they also must battle against the US government’s fear of a new terrorist attack. Now it’s a race against time as Fredrika, Alex, and Eden search for possibilities to save the plane and its passengers. Will they find a solution before the plane runs out of fuel?